This weekend Square Enix announced downloadable songs from non-Final Fantasy games coming to the latest iteration of FF's rhythm game. That's four songs from Bravely Default, three from the SaGa series and one each from Secret of Mana and Chrono Trigger. That's not right. I love the music in Bravely Default and the SaGa series, don't get me wrong. I'm glad to see them getting their turn at my favorite RPG-themed rhythm game. But you cannot pick a single song from the role-playing series with the greatest soundtrack ever (I'm counting Chrono Cross here too) and just call it a day. Here's the full list of new tracks, available this Wednesday for $.99 apiece, via the lovely people at Siliconera. 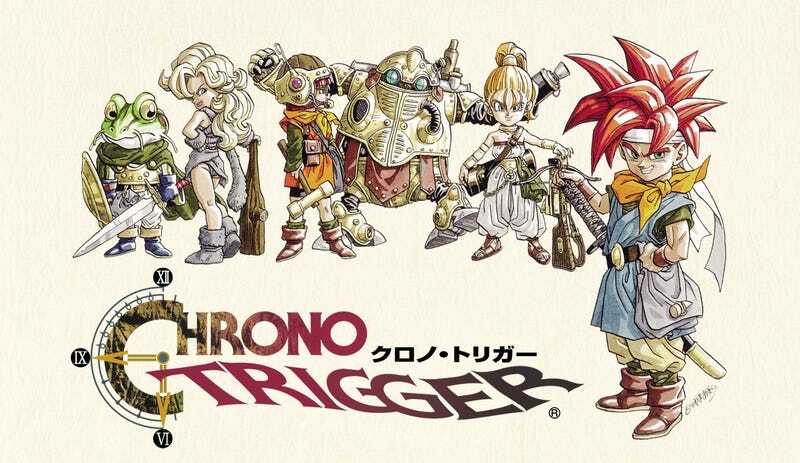 If Dragon Quest can get the Theatrhythm treatment, then so should Chrono Trigger. Between the original OST and Chrono Cross' music there's plenty of material. I wouldn't even complain if they tossed in a little more Secret of Mana, because no one's writing an article about how only one Secret of Mana song is coming. According to Siliconera, another batch of fresh downloadable tracks for Theatrhythm Final Fantasy: Curtain Call will be arriving on January 8, so there's still time to fix this. There's always time for Chrono Trigger. What? Jason's on vacation. I'm in charge of JRPGs until her returns.